I wouldn't presume to label this further than 'curry' but it is extremely tasty and well worth a whirl. 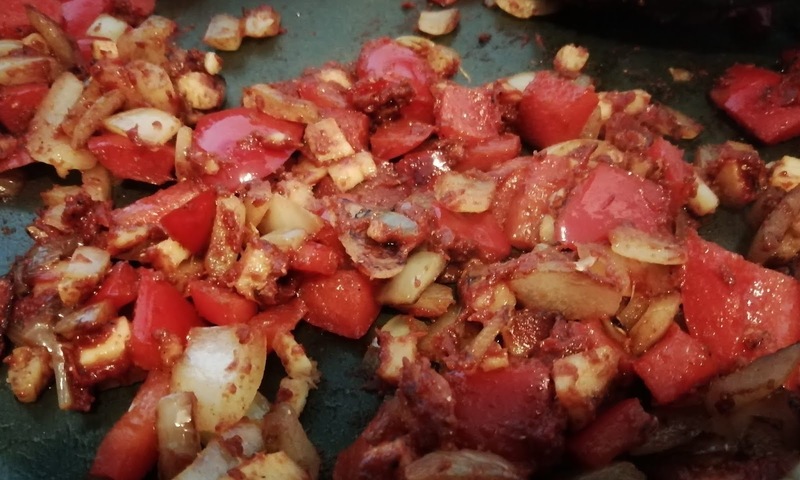 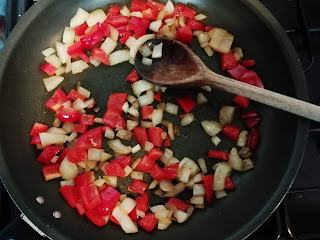 Heat the oil and fry the onion and pepper until soft. Add the garlic and cook for a couple of minutes more, not allowing it to burn. 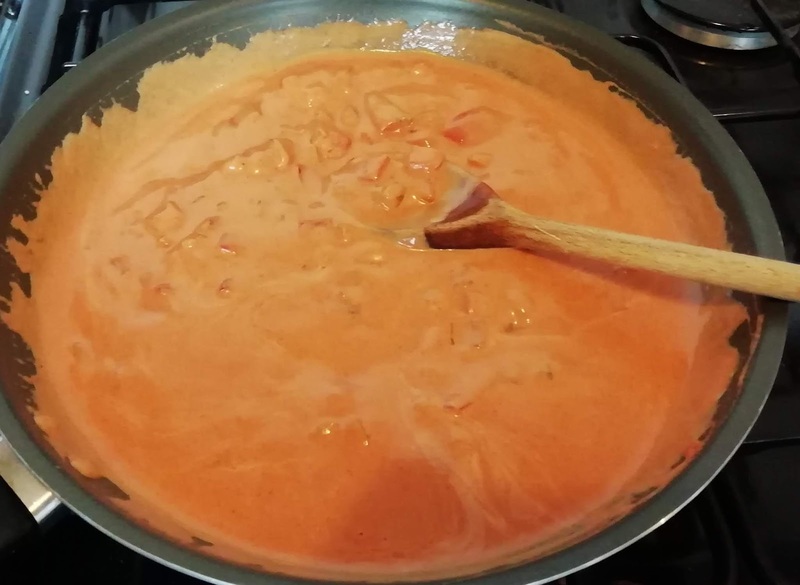 Add the ginger, tomato puree and curry powder. Mix well. 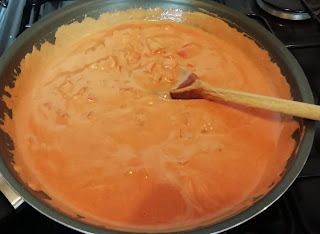 Stir in the passata, cream and honey. 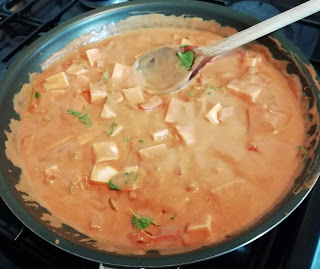 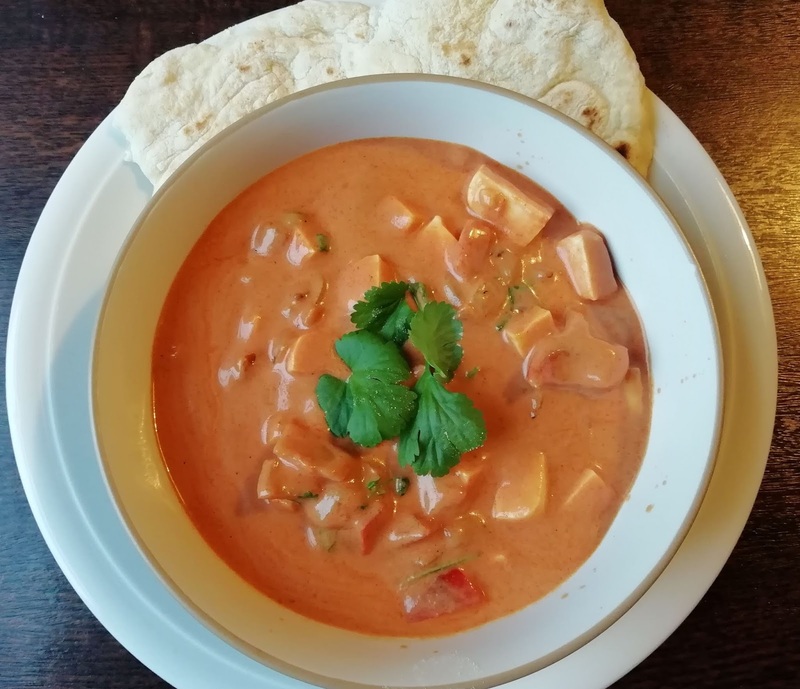 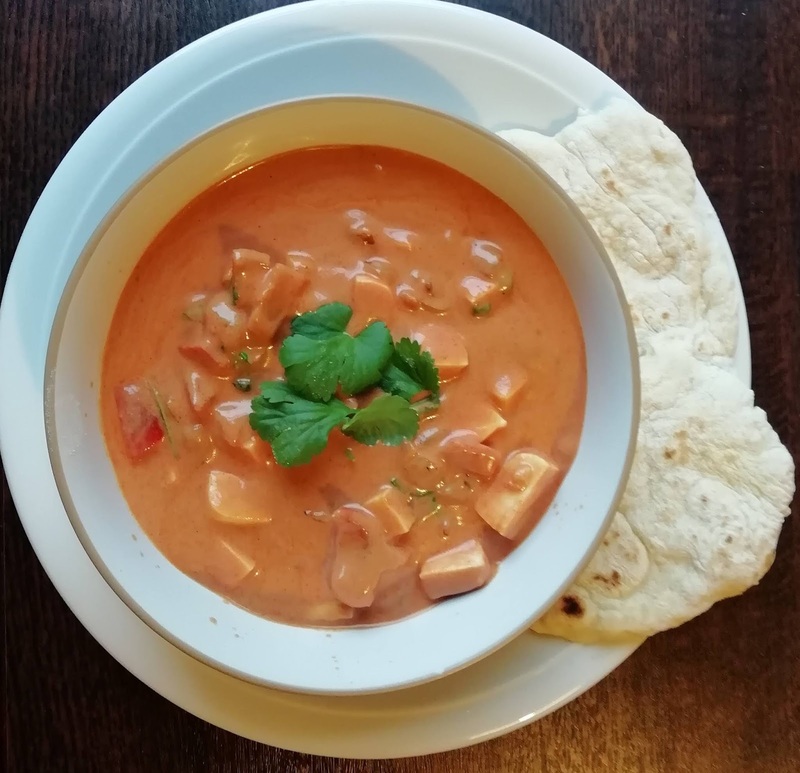 Allow to bubble and thicken, then add the paneer.